Art Jam! Live Art & Music! 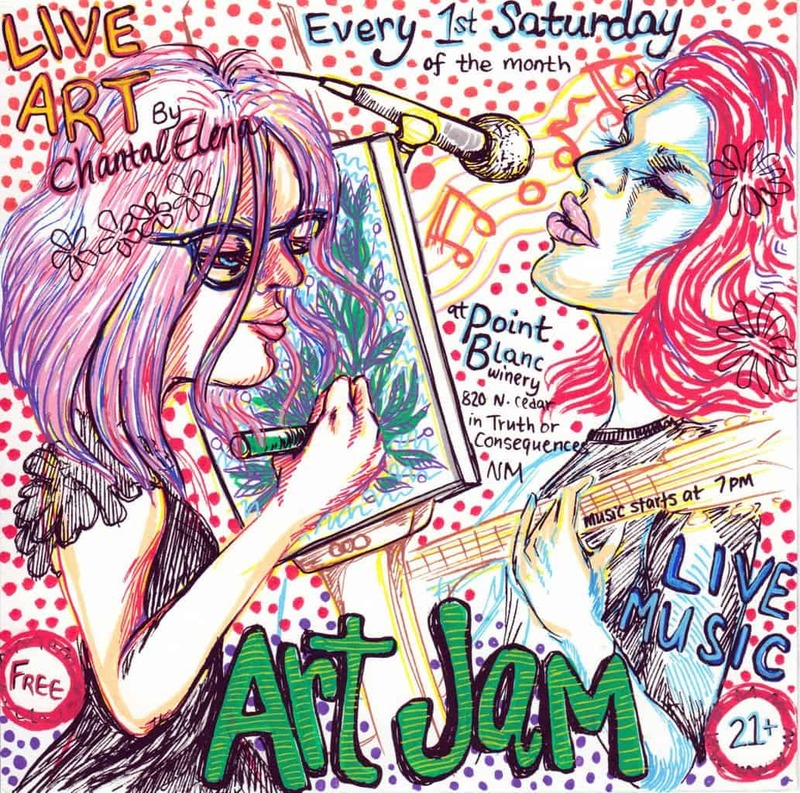 Also featuring live drawing & painting all night by Chantal Elena! 7PM – Shaq Ferguson is a locally based acoustic musician with a velvety voice who will keep you tapping your toes to a selection of original songs as well as covers. Pizza, drinks, music, and art! located at 820 N Cedar in Truth or Consequences, NM.